Once upon a time Joy didn't like being in front of a camera. I'm so impressed by the way she tackles her fears head on and just goes straight through them, and I'm really honoured that she trusts me enough to let me help. The two of you certainly produced some very nice images. Kudos to you both. I think the second photo really captures Joy. 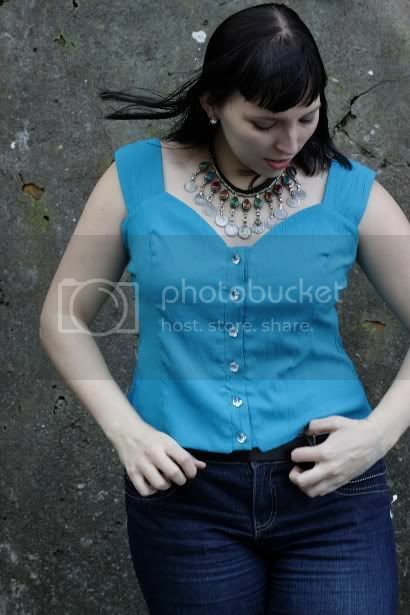 And the weathered concrete wall background works quite well with the sturdy nature of some of the clothes.